Hiroyuki Nakajima showing what he picked up in the minors. It’s been a while since Hiroyuki Nakajima played shortstop. But with the Orix Buffaloes’ good glove Ryoichi Adachi still being treated for colitis, Nakajima is set to encore at the position he made his own for a decade with the Seibu Lions. I was keen to ask Nakaji about this on Saturday, when I visited Seibu Dome, but he found a good reason to decline. The former Oakland A’s farmhand had something more important to do — sign autographs. At least one guy in Japan gets it. 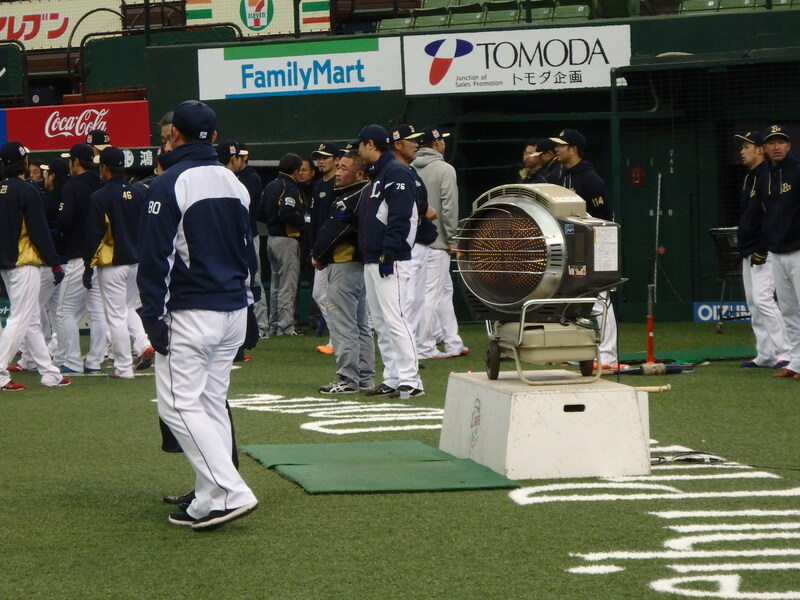 A critical piece of equipment on a frigid day at Seibu Prince Dome… a space heater.